What: Rainbow Honey Mystery Bag contains RH-branded nail polish and soap/body care items from upcoming collections. 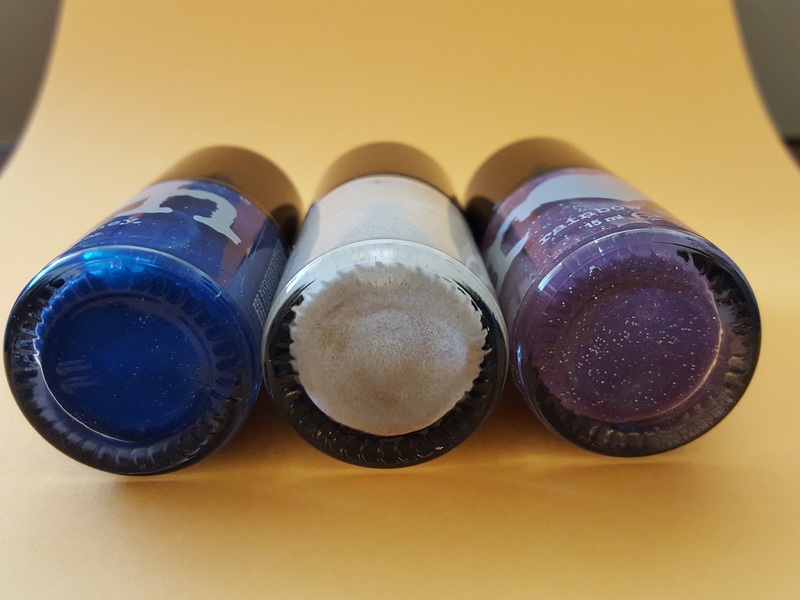 This review is for the Just Nails bag which comes with 3 polishes and a body care sample. Cost: Nail-, Body- and Soap-only bags are $12.50/month. A Large mystery bag subscription containing a mix of items is $22/month, or you can get a Mini version for $11. Free shipping for for all subscriptions. Last month Rainbow Honey shook things up a bit. 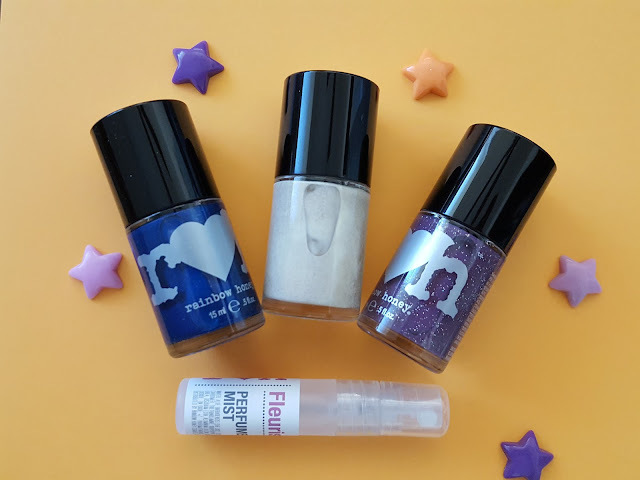 Their mini mystery bag usually comes with two full-sized nail polishes and 2-3 body care samples, but July's collection was so lovely that they felt they just had to give us 3 full sized polishes - the same as the Just Nails sub. And as you'd guess along with the bag came an offer to upgrade to Just Nails at no additional cost. I love the fun scents that RH has been coming up with lately, but I also know that the whole reason why this company caught my eye in the first place was their fun glitter toppers and shimmery nail polishes. So I upgraded to Just Nails. From now on (or until I decide to revert back to the regular mystery bag) I'll be reviewing Rainbow Honey's Just Nails monthly mystery bag. Wild Arctic Nail Lacquer - super rich navy blue lacquer with frosty diamond purple shimmer captures the beauty and elegance of the Arctic Ocean! Labor Day Nail Lacquer - no white after Labor Day? No problem! This off-white beauty is intensely speckled with gold in honor of the strength and prosperity of the American Labor movement! Mauve of My Life Nail Lacquer - demure twinkling mauve lacquer so rich, so ladylike and not yet autumn! My favorites this month are Wild Arctic and Labor Day. Together they remind me of the beach. I'm most definitely going to do some shoreline nail art with these two colors! 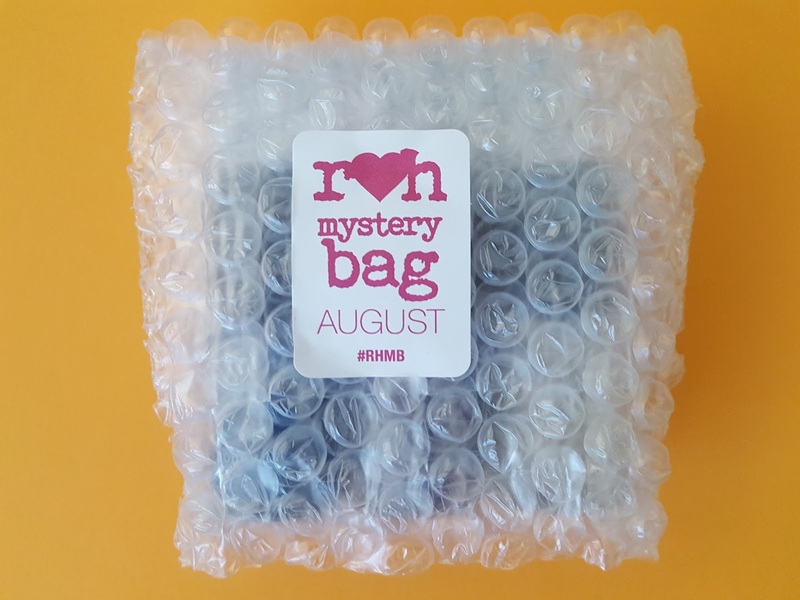 The August Just Nails mystery bag is definitely reminiscent of the beach. No glitter toppers this month but I do like the Labor Day polish because it reminds me of sand. The gold flecks add some welcomed color and shimmer and I have nothing like it so far in my nail polish collection. 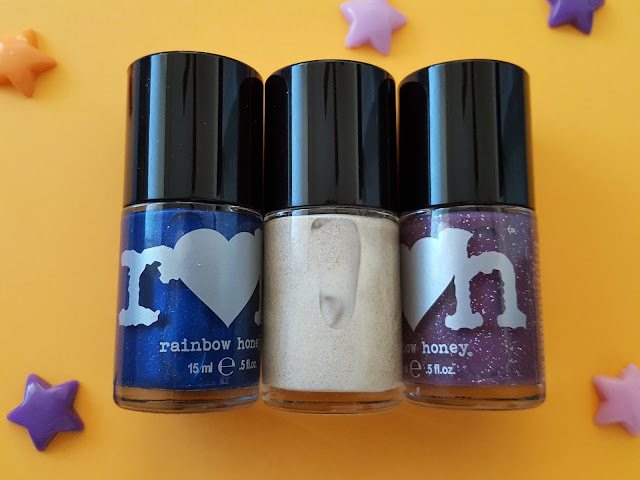 If you like fun glittery nail polishes as much as I do, Rainbow Honey is reasonably priced, and if you like sweet juicy fruity scents you'll love their soaps and body care products. 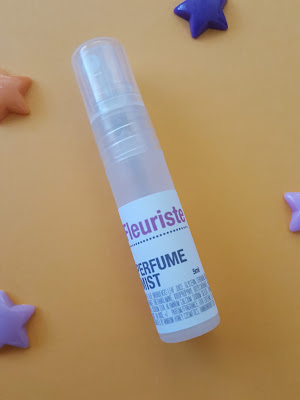 You can subscribe to the monthly mystery bags here.